While China’s growing economy is allowing its burgeoning middle class to extend new-found affluence to travelling abroad, UK tourism officials are hoping that Chinese tourists will bring their money to London. According to a report by tourism provider Global Blue, Chinese tourists in London spent 31 per cent more in 2012 than in the previous year. 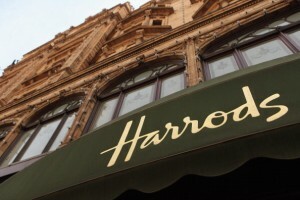 The report went on to say that Chinese shoppers at Harrods, the world-famous London landmark department store, are the “most significant and rapidly growing proportion” of the store’s overseas customer base. Harrods has even hired 75 mandarin speakers among its 5,000 staff and accepts China UnionPay, the nation’s bankcard network to accommodate the growing numbers in Chinese tourists. Selfridges has also hired dozens of mandarin speakers. The BBC cites the number of Chinese tourists to London at 150,000 annually and says they spend five times more than Americans at Harrods shopping for name brands. Prada and Burberry, apparently, appear high on the list. “Chinese tourists are much in demand these days – not least among Britain’s government. The reasons for this are obvious: Chinese visitors tend to spend on average three times more than other overseas visitors,” wrote Yuan Ren in the Guardian on August 18. Chinese tourists have become so important to the UK economy that VisitBritain, the UK’s national tourism agency, has formalised a strategy to woo even more visitors from the world’s second largest economy. “Seen from a Chinese tour bus, the continent of Europe is not so much an ancient collection of cities and nations as a glittering emporium stocked with brands,” a VisitBritain report says. France is also a popular destination for Chinese tourists – nearly 450,000 visiting Paris and other famous cities. And according to Australian officials, more than 625,000 Chinese tourists visited Australia in 2012. Australia expects that figure to triple in the next decade. In a sign of growing numbers of tourists from emerging countries, a travel and airline segment on CBS’ This Morning in early January featured Peter Greenberg, CBS news travel editor, who predicted 2013 travel trends and said that foreign travelers will dominate the tourism industry.